Hello, this is Leslie from Once Upon a Time & Happily Ever After writing to you on this beautiful Easter morning. 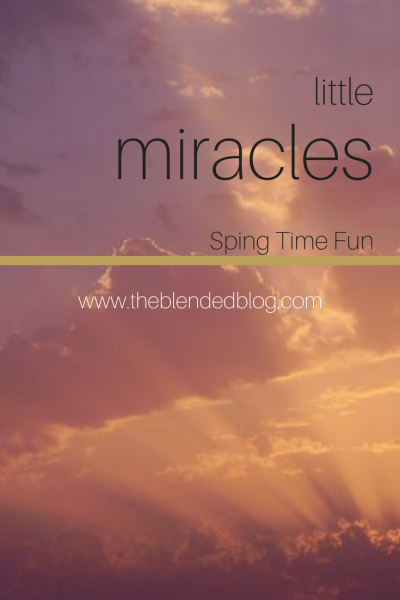 When the TBB gals were bouncing around ideas for our "Spring Time Fun" series, I suggested a 'little miracles' or 'blessings' post similar to the ones I do on my own blog. 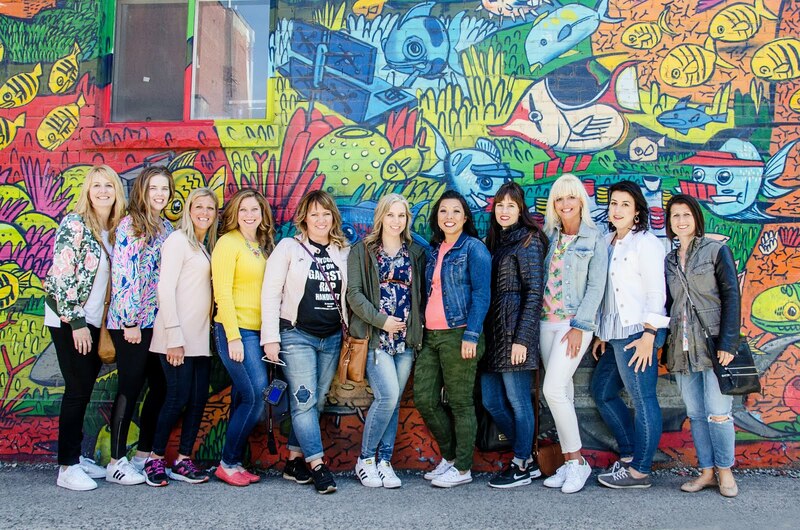 So grateful to have Deena from Shoes to Shiraz, Sheila from Making the Most of Every Day, and Shaunacey from Simply Shaunacey joining me today as we share moments of gratitude, blessings and little miracles sprinkled about our daily lives. Spring is the season of renewal and rebirth. Last week, some of the ladies and I blogged about signs of spring cropping up in our individual corners of the world. You can revisit that post, here. I think all of us mentioned, in some form or fashion, how our yards and gardens and neighborhoods are beginning to turn green with blooms and buds. Little miracles for sure. In my life, blessings come in different shapes and sizes. And 'degrees'. For example, I am working on an elephant collage on canvas for my guest bedroom. 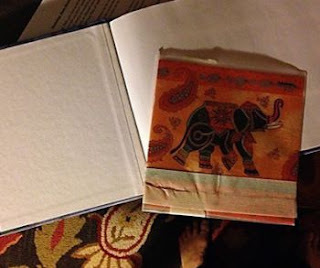 I had cut elephants from scrapbook paper and layered them on the canvas then planned to add an elephant from an Indian napkin I bought on Etsy. Then the napkin vanished. Couldn't find it anywhere for months. This fall, as I was gathering books for a library lesson, I found the napkin. 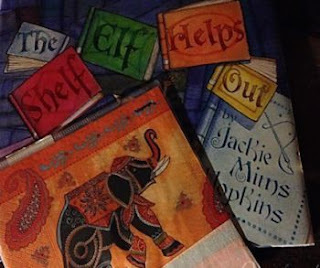 Right where I had put it -imagine that - inside the book The Shelf Elf Helps Out by Jackie Mimms Hopkins. Just where I'd tucked it months before to flatten. I do realize that people get lost and found and lose (and find) things all of the time. In fact, I wrote about other lost and found belongings, here. And of course, in the grand scheme of things, this miracle doesn't quite rank up there with the parting of the Red Sea. But it made me smile. It warmed my heart and I was grateful. Although I haven't finished my elephant picture yet, it's on my spring bucket list to do. Lost my mind years ago, and even St, Anthony, gifted with restoring lost things, hasn't been able to help me find it. YET. Still hanging onto hope, though. In the meantime, here are a few other 'little miracles' for which I am grateful. Cactus. Growing between a rock and a hard place. Isn't that just crazy? How is this little fella alive? Not just alive but thriving? A reminder to grow where I am planted. And to never take for granted the blessings in my life. Butterflies. Since my father's death in the spring of 2012, I associate seeing a butterfly with my father being near. As if he is flitting by just to remind me that he is there, and that he loves me. I notice butterflies everywhere these days and always stop what I am doing to watch them for a moment. 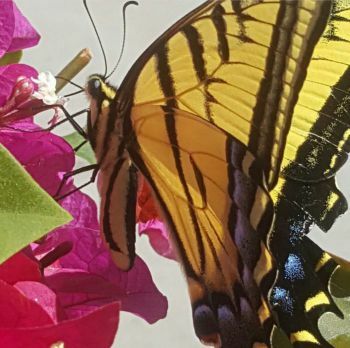 Snapped this pic of 'my dad' on our bougainvillea bush. A reminder that even though my father is no longer living, he is always in my heart and on my mind. I am grateful for these occasional moments where I can feel my dad's presence in the hustle-bustle of day-to-day life. 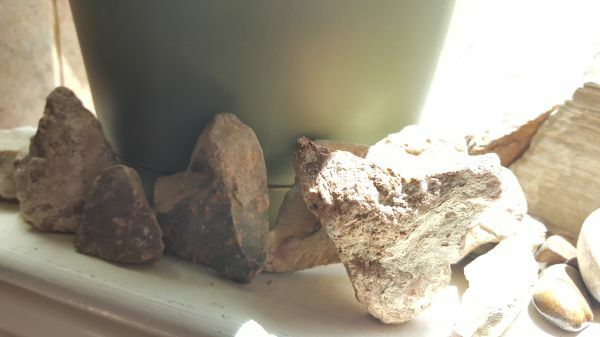 Heart-shaped rocks. My PC (Prince Charming) and I enjoy hiking in our beautiful Franklin Mountains. On every hike, we look for a heart-shaped rock. And we find one. I have collected them on the kitchen window sill. 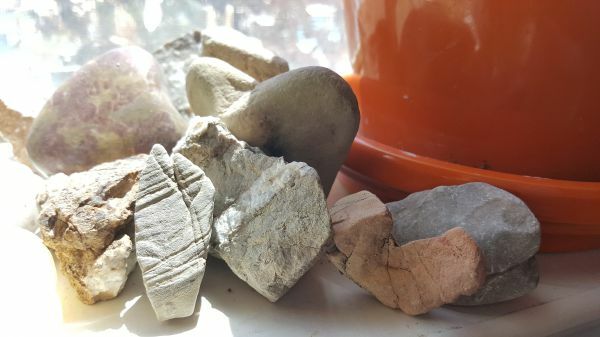 Might be a little hard to see the heart shapes of the rocks in these pictures but up-close there's no mistaking these for just any old random rocks. PC and I took a short walk along a new trail today. Found a pinkish heart rock. A reminder of how blessed we are to have each other and that our marriage is rock-solid. So while these 'little miracles' in my life may fall short by Biblical proportions, they serve to remind me to be grateful for bigger things like life, family and love. Remember that you never have to walk through life alone. Take time to celebrate being found! 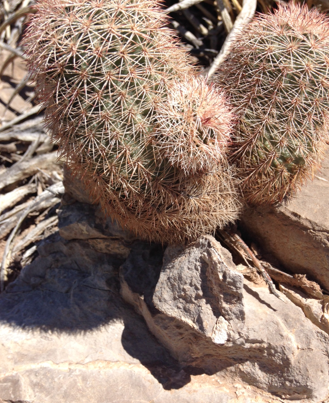 And be inspired to look for cactus, butterflies and heart-shaped rocks along your path. 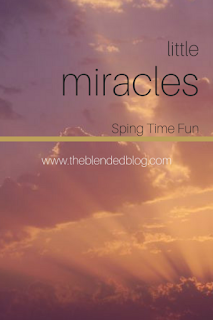 If you have a 'little miracles' or 'spring time fun' post to share, won't you link-up with us here? 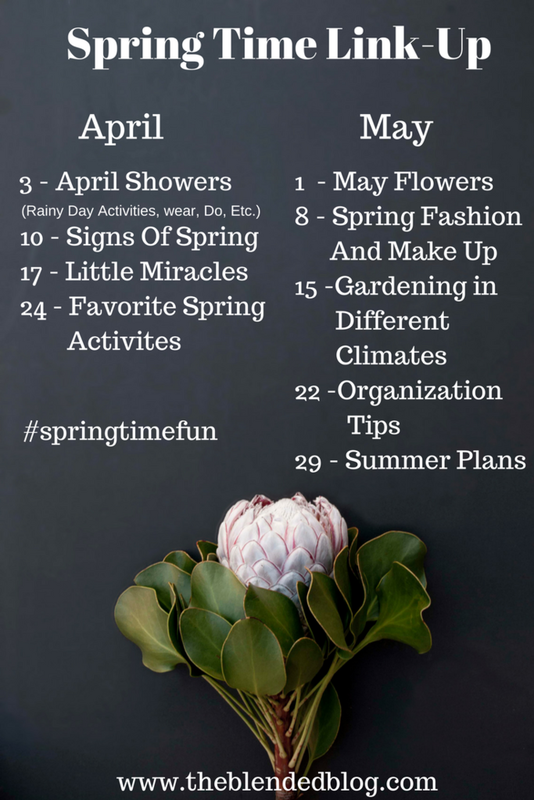 Or post a picture to Instagram, using #springtimefun. And please take a few moments to read about the blessings in the lives of my friends Deena, Sheila and Shaunacey. Check out upcoming spring time fun posts in the graphic below. Thank you!